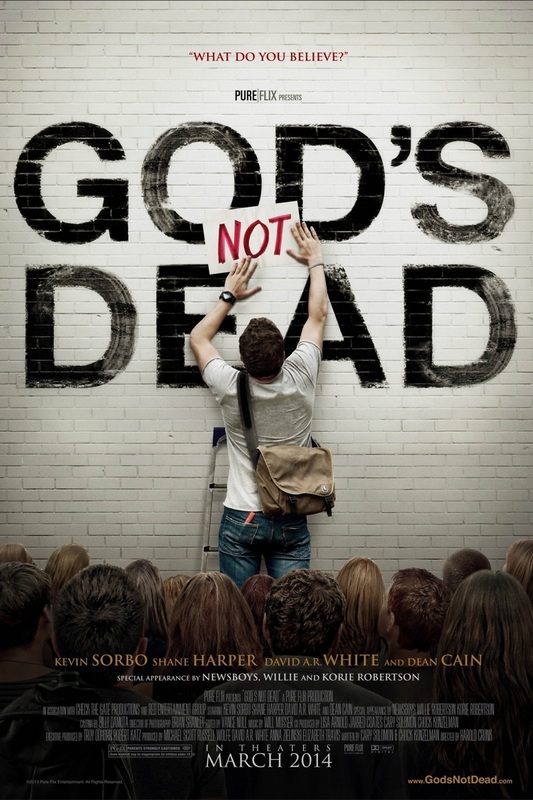 God's Not Dead DVD and Blu-ray release date was set for August 5, 2014. College freshman Josh Wheaton attends the first day of his philosophy class. His teacher, Professor Radisson demands the students in class write on a paper "God is Dead" and submit it or fail the class. Josh, a Christian, makes the decision to turn in a statement that "God is not Dead," the only student to do so. The Professor then challenges Josh to prove to the other students over the quarter through debates with himself that God lives. Josh accepts the challenge and this movie is about the methods Josh uses to prove that God lives. Some famous people make cameos during this movie about their faith.